Alternatives to the current liberal international economic system and its framing rules have been rare in the last 40 years. The ACFIs can be considered a pragmatic response to the system, based on Brazil’s domestic needs and geo-economic position. The ACFI model was designed taking into consideration economic specificities of a developing country such as Brazil: a historical recipient of investment, a latecomer exporter of capital, and the current combination of both, favouring the triangulation of foreign investments abroad. In this context, the ACFIs have definitely brought new elements to the international investment scene. Other scholars as well as policy-makers and practitioners have gone into well-done descriptions of the details and novelties of the ACFIs. In this article, we go beyond, by contextualizing the catalysts of these agreements, relating their new elements to the clauses and the legal language used in the Brazilian ACFI model. We also present our understanding of the Brazilian ACFIs as a product of cross-fertilizing narratives: host countries’ contestation movements against unequal economic relations crystallized in traditional-type bilateral investment treaties (BITs), the search for alternatives to the hotly debated reengineering of the current international investment regime, and an attempt to create a genuinely Brazilian model investment agreement that is sensitive to internal constitutional limitations and responsive to Brazil’s aspirations as an emerging economy. We address these topics in two sections, followed by a brief conclusion. The first section details the historical and current context of the model, and the second describes the main efforts employed by Brazil to design an agreement with clauses that are symmetrical in form and content. From March to June 2015, Brazil signed three ACFIs, with Mozambique, Angola, and Mexico. Although Brazil is an emerging economy and has traditionally been one of the top destinations for foreign direct investment (FDI), it has historically played a different regulatory card in a world dominated by a web of BITs. In the 1990s, Brazil signed BITs with 14 countries. However, strong political opposition by Congress and the Judiciary, combined with an unresolved Executive, impeded the country from ratifying any of the proposed agreements. Brazil then became known as one of the few top economies without BITs or an investment agreement model. Following that failure at the legislative branch, certain bodies of the executive branch, led by the Ministry of Industry, Development and Commerce (MDIC), kept the topic in their agenda, addressing alternative formats for the regulation of investments at the international level. Such efforts first considered external relations with MERCOSUR and other South American countries and later became a broader policy concerning the global South: Africa, Asia, and Latin America. But it was only in 2012 that the Brazilian Chamber of Foreign Trade (CAMEX) granted a formal mandate to a Technical Group for Strategic Studies on Foreign Trade (GTEX) to work on—among other topics—the drafting of a new investment agreement sensitive to Brazilian needs and concerns at the international economic scenario. In the context of Brazil–Africa relations, GTEX recommended the creation of a new type of investment agreement, under the leadership of MDIC’s Foreign Trade Secretariat (SECEX). This gave a new push to the continuous but slow process that had started with the negotiation of the BITs in the 1990s. The GTEX mandate was the zenith of the process, and the result of the technical capacity of MDIC officials in a favourable political moment in Brazil—the right people at the right time. At that point, Brazilian firms had almost doubled their investments abroad in five years, to a record US$355 billion. It was a time when national politics met the industry’s private interest: firms were investing abroad—mainly in Latin America and Africa—while Brazil’s external policy was also geared toward South–South relations, for reasons not limited to economic rationales. GTEX then initiated consultations with the private sector in Brazil concerning the main challenges of the transnationalization of Brazilian companies. From the beginning of the negotiation process, Brazil envisioned a different agreement from those negotiated in the 1990s. In parallel to the contestation movement in developing country host states, even if at different paces and intensities, the drafting of the Brazilian model investment agreement was equally influenced by ongoing debates concerning the reform of the international investment regime, lessons learned from the failure of the approval of the investment agreements negotiated in the 1990s, and internal demands for market access. A template for the new agreement—addressing all those concerns—was ready as from 2013 when it was approved by CAMEX, and then proposed to states where Brazilian companies were more consistently investing. Mozambique, Angola, and Mexico were the first countries to react positively to Brazil’s negotiating push. The ACFI framework was built on the revision of previous agreements by Brazilian policy makers—considering the limits of domestic regulation—and on the inputs from the Brazilian private sector based on their recent experience as capital exporters.,  The combination of those demands resulted in a model agreement that focuses on investment facilitation and risk mitigation. Although this structure is not new to international investment agreements, the ACFI brought new components to their content. Constant cooperation among governmental agencies, mediated by diplomatic action, and deference to domestic legislation can be considered the leading notions behind this model agreement, which offers an alternative to the current international investment regime. Investment facilitation provisions are mostly concerned with market access, and they prevail in the structure of the ACFIs signed to date. In this respect, simple measures such as visa policy and the regularity of flights were considered basic needs for the effective promotion of investment flows from Brazil into its counterparts (mainly other developing country economies). While those may be problems for an investor from any part of the world, such barriers are more costly for investors from developing countries, to the extent that they limit capital exports in the absence of alternatives. Brazil chose to address such problems through an investment agreement, including a thematic agenda for investment cooperation and facilitation as one of its core elements. The thematic agendas comprise programs on money transfers, visa proceedings, technical and environmental licenses and certifications, as well as provisions for institutional cooperation. Such agendas also revive developing country claims to technology transfer, capacity building, and other developmental gains from foreign investment. In addition, they express the understanding that the benefit to the home country must come not only from capital exports, but also from the overall impact that investment from the home country will have on the host country, such as employment of local labour. In this sense, the ACFI model aims at advancing symmetry beyond formal rules, and its design takes into account the domestic needs of both capital importing and exporting countries. The ACFIs encourage the parties to negotiate special commitments, additional schedules, and other supplementary agreements as part of the main agreement, in order to expand or detail the thematic agendas. In the opinion of Mr. Daniel Godinho, Secretary of SECEX and a key person in designing and negotiating the agreements, the existence of such thematic agendas turn the ACFIs into dynamic agreements that may evolve along with the bilateral investment relations. The risk mitigation dimension of the agreement comprises typical rules for investment and investor protection, and diplomatic and cooperative mechanisms for implementing, overseeing and enforcing the parties’ obligations, including dispute settlement mechanisms. On this issue, we read the ACFI provisions mainly as a product of the international agenda for reforming the investment regime and of specific domestic concerns on the topic. Each ACFI creates two types of institutions to govern the agreement: a Joint Committee and ombudsmen (Focal Points). The Joint Committee operates at the state-to-state level, while the Focal Points, inspired by the ombudsmen from the 2010 Korean Investment Act, provide government assistance to investors, dialoguing with government authorities to address the suggestions and complaints from the other party’s government and investors. Influenced by multilateral organizations, such as the United Nations Conference on Trade and Development (UNCTAD), and experiences from other countries, Brazil has strongly emphasized the prevention of disputes between the parties in its ACFI template. Therefore, the roles of both the Joint Committee and the Focal Point are, primarily, to promote regular exchange of information and prevent disputes and, if a dispute arises, to implement the dispute settlement mechanism, based on consultations, negotiations and mediation. This mechanism aims to deter investors from judicially challenging host government measures. Unlike traditional BIT-type agreements, the ACFIs do not allow investors to initiate arbitration against the state. Brazilian public officials note that, even though state-to-state arbitration is mentioned in the agreements, it shall not be the foremost mechanism for settling disputes. The transparency mechanisms in the ACFIs may also serve to mitigate risk. Instead of establishing transparency standards, however, the ACFIs provide that “each Party shall employ its best efforts to allow a reasonable opportunity for those interested to voice their opinion about proposed measures.” This may still be considered a novelty to the current regime. The agreements also include corporate social responsibility (CSR) clauses, encouraging foreign investors to respect human rights and environmental laws in the host state, also in order to mitigate risk. Even though the agreements are ambiguous regarding the binding force of these CSR obligations and even more so regarding mechanisms to enforce them, they do innovate by addressing the protection of interests of the host state and its citizens within an international investment regulation. 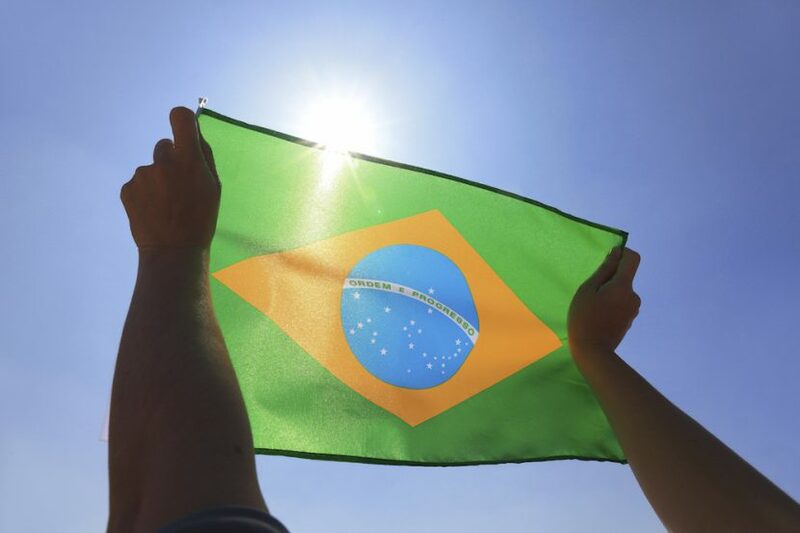 Brazil chose to address its developing country and latecomer limitations to investment flows through an alternative model agreement, which can be seen as a first step toward more symmetry in investments agreements. The provisions on investor and investment protection are not the main focus of the ACFI. In terms of investment policy engineering, the ACFI stands for a regulatory tool that is alternative to investor and investment protection. It emphasizes constant coordination between the parties’ agencies and investment facilitation under thematic agendas for cooperation, and deference to domestic legislation. Although we identify more innovation capacity in this part of the agreement, we also recognize that new elements were brought to the scene with respect to risk mitigation and dispute prevention. However, the ACFI itself still needs to be further regulated—particularly as to the functioning of institutional mechanisms—, and its provisions must be given a breath of life. Brazil and its counterparts have homework to do in detailing the framework for the ACFIs and the investment relations under the agreements. Therefore, the ACFI model and its innovative contribution will be put to test in the regulation and implementation of the concluded agreements, a challenge that highly depends on the coordination and cooperation capacity of the parties’ agencies. Fabio Morosini is a Professor of law and Director of the Center for Law, Globalization and Development at the School of Law in the Federal University of Rio Grande do Sul (UFRGS), Brazil. Michelle Ratton Sanchez Badin is an Associate Professor, and coordinator of the Center on Global Law at FGV São Paulo School of Law, Brazil. The authors coordinate a joint research project on Southern Alternatives on Trade and Investment Regulation at FGV São Paulo School of Law and the Federal University of Rio Grande do Sul. They acknowledge the grants for that research from FAPESP (2014/25776-4) and CAPES/CNPq (MCTI/CNPq/MEC/CAPES no. 43/2013). References to official opinions and specific documents in this piece are the result of the authors’ empirical research in the field. Brauch, M. D. (2015, May). The Brazil–Mozambique and Brazil–Angola Cooperation and Investment Facilitation Agreements (CIFAs): A descriptive overview. Investment Treaty News, 6(2), 14–16. Retrieved from https://www.iisd.org/sites/default/files/publications/iisd-itn-may-2015-en.pdf; Hamilton, J. C., & Grando, M. (2015). Brazil and the future of investment protections. Latin Arbitration Law. Retrieved from http://www.latinarbitrationlaw.com/brazil-and-the-future-of-investment-protections; Rolland, S., & Trubek, D. (2015). Brazil develops a new model BIT – A challenge to the US model? International Trade Daily, 108. Retrieved from http://www.washingtontradedaily.com/index.html (subscription only); Monebhurrun, N. (2014). Crônicas de Direito Internacional dos Investimentos. Revista de Direito Internacional, 12(2), 64–77. The text of the Brazil–Mozambique ACFI is available at http://www.itamaraty.gov.br/index. php?option=com_content&view=article&id=8511&catid=42&Itemid=280&lang=pt-BR; the text of the Brazil–Angola ACFI, at http://www.itamaraty.gov.br/index.php?option=com_con tent&view=article&id=8520:acordo-brasil-angola-de-cooperacao-e-facilitacao-de-investi- mentos-acfiluanda-1-de-abril-de-2015&catid=42&lang=pt-BR&Itemid=280; the text of the Brazil–Mexico ACFI is available, upon request, at SECEX/MDIC. Private sector consultations were held with the Federation of Industries from the State of São Paulo (FIESP, in Portuguese) and the National Industry Confederation (CNI, in Portuguese). According to MDIC, in contrast to the traditional-type BIT experience, the Brazilian government’s position was: 1) to restrict the expropriation concept only to direct expropriation, and its compensation in accordance with the Brazilian Constitution (Articles 5, 182 and 184 of Brazil’s Federal Constitution of 1988 provide that expropriation of urban and rural real properties may be—among other possibilities—compensated with public and agrarian bonds, respectively); 2) to establish a dispute settlement mechanism limited to state–state disputes; 3) to admit exceptions to the free transfer obligation, aiming at safeguarding the host country’s balance of payments; 4) to limit investor protection under the agreement to productive investments, according to the International Monetary Fund’s definitions and under the conditions of the host country domestic rules; and 5) to welcome host countries’ policy spaces in the definition of exceptions to National Treatment and Most-Favoured-Nation Treatment (MFN) obligations. In addition to that agenda, the Brazilian private sector voiced their position by answering a survey on investment facilitation. Based on the survey and on further studies conducted by GTEX, three additional elements were added: 1) a focal point where firms could go for advice and help throughout the investment relation; 2) provisions for risk mitigation and dispute prevention; and 3) a thematic work program for investment facilitation devoted mainly to visa and licencing proceedings, among others. D. Godinho, Head of the Brazilian Foreign Trade Secretariat (SECEX), Ministry of Development, Industry and Commerce, personal communication, April 28, 2015. In June 2014 Angola and Brazil had signed a Protocol about Visa Facilitation that was taken into account in the thematic agenda of the Brazil–Angola ACFI, Annex I, subparagraph 1.2(i). The ACFIs include National Treatment and MFN provisions, but exclude Fair and Equitable Treatment and Full Protection and Security clauses. Indirect expropriation, one of the issues that faced resistance before Congress in the 1990s, is also not covered by the ACFIs. United Nations Conference on Trade and Development (UNCTAD). (2013, June 26). Reform of investor–state dispute settlement: In search of a roadmap. IIA Issues Note No. 2, p. 5. Retrieved from http://unctad.org/en/PublicationsLibrary/webdiaepcb2013d4_en.pdf (stating that “ADR methods can help to save time and money, find a mutually acceptable solution, prevent escalation of the dispute and preserve a workable relationship between the disputing parties”). Brazilian human rights NGOs have complained about their low normativity, and the lack of international mechanisms to enforce the responsibility for violations in the field, see Borges, C. (2015, May 29). Acordos bilaterais à brasileira. Valor Econômico. Retrieved from http://www.valor.com.br/opiniao/4072416/acordos-bilaterais-brasileira (subscription only).